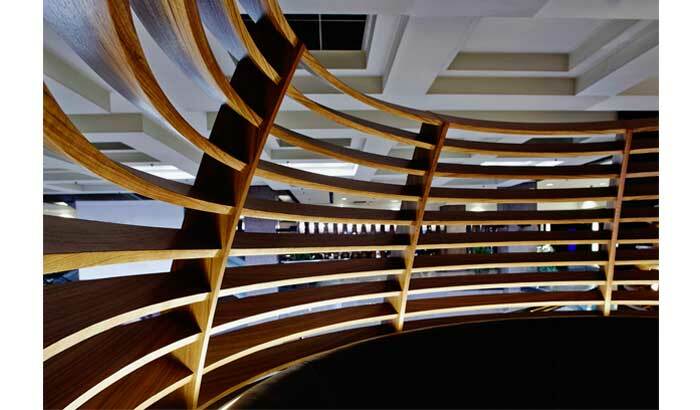 Creating a new design language for a contemporary Chinese dining experience. 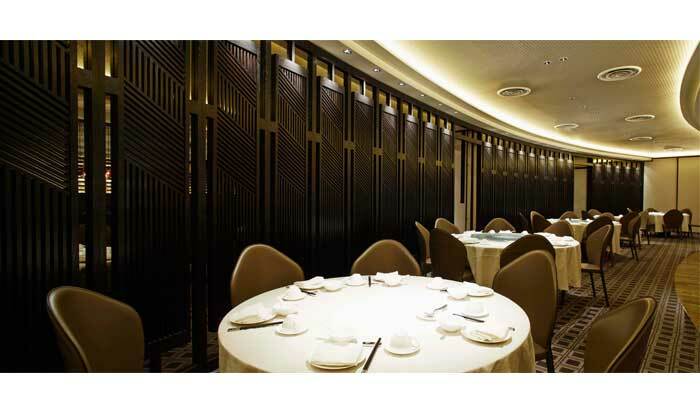 From the wallpaper to the lighting to the carpet and the furniture, every little detail is meticulously executed to bring out the Shanghainese influence that Imperial Treasure restaurant identifies itself with. As you enter, expect to be greeted by a feature wall made up of wavy panels, supported by dramatic chandeliers to create that grand entrance. 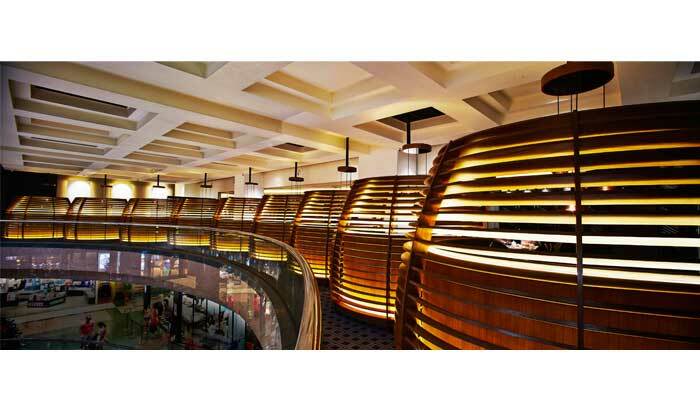 Located on the 4th level of Ngee Ann City where the dining space is exposed to passers-by even on the ground floor, we took advantage of the visibility of the open space to create a row of magnificent wooden cocoons where it will house dining guests. 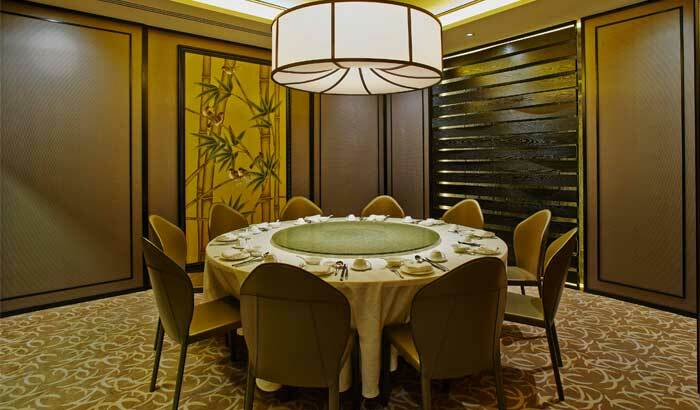 For a private dining experience, choose one of their 4 private rooms furnished with custom-made pendant lights carrying a hint of elegant Chinese influence. 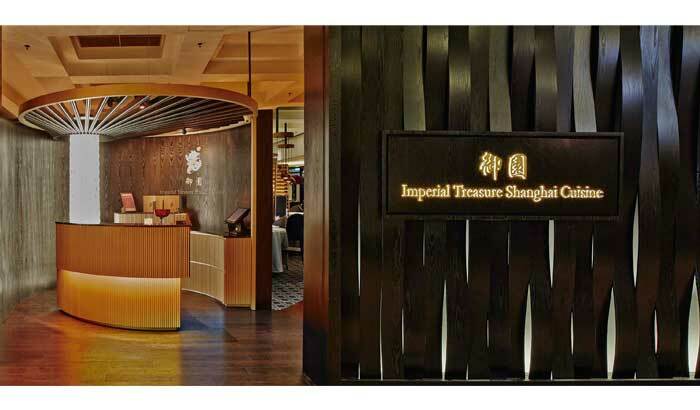 We’re sure that Imperial Treasure will whet your appetite, both for your eyes and your palate. Bon appétit!